Today Dad finally joins HMS Ocean aircraft carrier fulfilling his wish to serve at sea. I joined ship in Marsaclok via a Jacob’s ladder from the ship’s boat. Like everyone else my gear was hoisted aboard in a wire net by the ship’s crew. First of all I had to find out where I was meant to live whilst aboard. I followed the others along the decks and down ladders until we reached the 805 Squadron mess deck. This located, I had to go back to the flight deck to collect my gear which consisted of my large kitbag, hammock, tool box and quite unofficially a suitcase containing all that I had bought to eventually take home with me. This mainly consisted of tinned food which could be bought in Malta at that time whilst people in England were that on wartime rations. Sam Turner was already aboard and I joined him on the mess deck for a pot of tea, a fag and a natter. The mess deck was right in the fore part of the ship, two decks below the flight deck. It occupied the full width of the ship about 40 feet wide at that point and was roughly square except that it occupied three sides of a structure that housed the ammunition conveyor mechanism to the deck above where the ship’s anti-aircraft guns were located. A rough drawing shows the layout. It must be borne in mind that wherever there was access through compartments or between decks via ladders there was a sealable hatch which meant that the door or hatch cover when closed was capable of being fastened by a series of handles around the edge which could be operated from either side. Ship safety meant that some hatches were closed all the time so that to pass from one compartment to another one had to unfasten the door handles and refasten them after you. A warship consists of a number of watertight compartments so that when at sea all hatches between decks and between one compartment and the next were left closed in this manner. A bulkhead is an integral metal wall across the ship’s hull extending from floor to ceiling (deck to deck head in naval parlance) and the watertight doors provide the only way to pass from compartment to compartment. 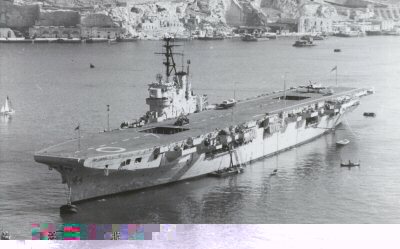 Within our Squadron’s compartment (mess deck) were two rows of tables and benches, three on each side i.e. one port and one starboard. Each table with a bench on either side was about 12 feet long and 3 feet wide. Each table had a mess number and accommodated 10-12 men. Here one lived; mealtimes you sat 5 or 6 on each side of the table. Here you wrote letters, kept your clothes clean and pressed, smoked, talked or read. When it came time to sleep hammocks had to be strung from rails across the deck head above. A bank of small lockers was where you kept your belongings such as they were. Very good blog! Do you have any recommendations for aspiring writers? I’m planning to start my own website soon but I’m a little lost on everything. Would you recommend starting with a free platform like WordPress or go for a paid option? There are so many choices out there that I’m totally overwhelmed .. Any suggestions? Thank you! I adore your wordpress theme, exactly where did you get a hold of it from?